"Ranging from decorative paints like texture and enamel paints or waterproofing solutions like Dr Seal-It, British Paints has a solution to all home surface problems like wall care, maintenance and industrial solutions like Epoxy Coatings." 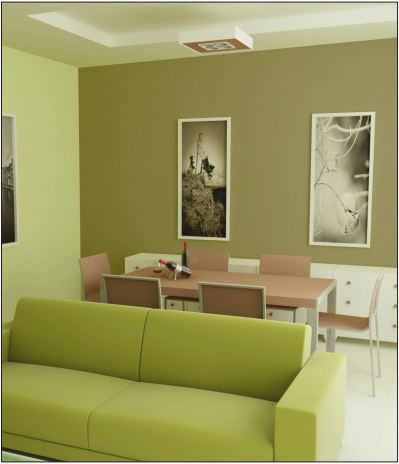 British Paints is one of the leading paint companies in India, having been established circa 1947. As a major paint manufacturer, they immediately gained huge popularity in India due to their wide and vibrant range of industrial and architectural coatings, after which they were renamed Berger Paints in 1983. With 45 branch offices and 12000 channel partners spread over the length and breadth of the country, British Paints offers a wide palette of decorative and generic industrial paints and coatings, manufactured at dedicated units located in Uttar Pradesh and Jammu & Kashmir. 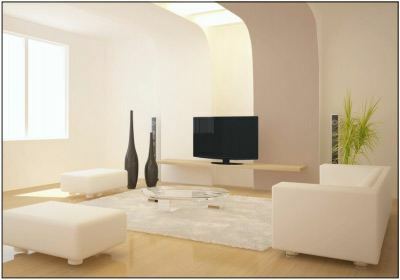 Ranging from decorative paints like texture and enamel paints or waterproofing solutions like Dr Seal-It, British Paints has a solution to all home surface problems like wall care, maintenance and industrial solutions like Epoxy Coatings. Techmagnate presented British Paints with a high-engagement strategy for Facebook to deliver their desired results. Considering the fact that British Paints serves a largely Indian population, we decided to combine two of India's greatest loves - color and Bollywood. 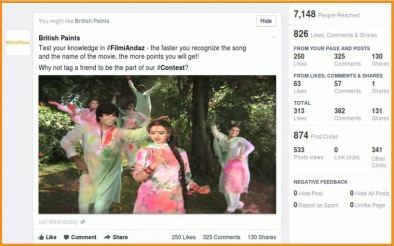 To commemorate Holi, the colorful spring festival, we posted a Holi-related film still and asked the British Paints audience to correctly guess the name of the corresponding song and movie. We collected the names of all participants who had provided the right answers and declared a winner through a random draw. 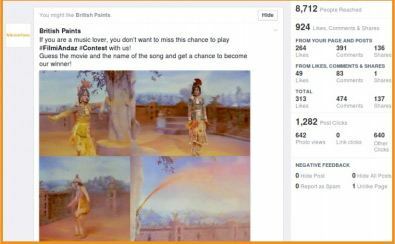 The campaign lasted for one week, from 11th March to 18th March 2014, culminating towards the celebration of the festival in India. "The average reach of posts exceeded 8000 people, organically." 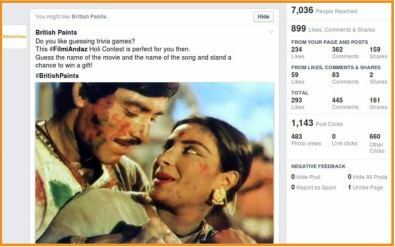 On the first day of the contest, we saw an increase of nearly 100 organic Likes on the Facebook page. Through this campaign, we saw the average reach of posts exceed 8000 people, organically. The same post received a whopping 1282 Likes, also achieved organically. Facbook Analytics breakdown showing major KPI's on the Holi Campaign post. The Facebook Analytics report also revealed a total threefold increase in all the major KPI's being monitored, namely Engagement, Reach and Likes. Decidedly a successful campaign. We were able to create brand ambassadors for British Paints through the use of giveaways and creative combinations of music and a well-loved national festival.